I've got a problem this year. 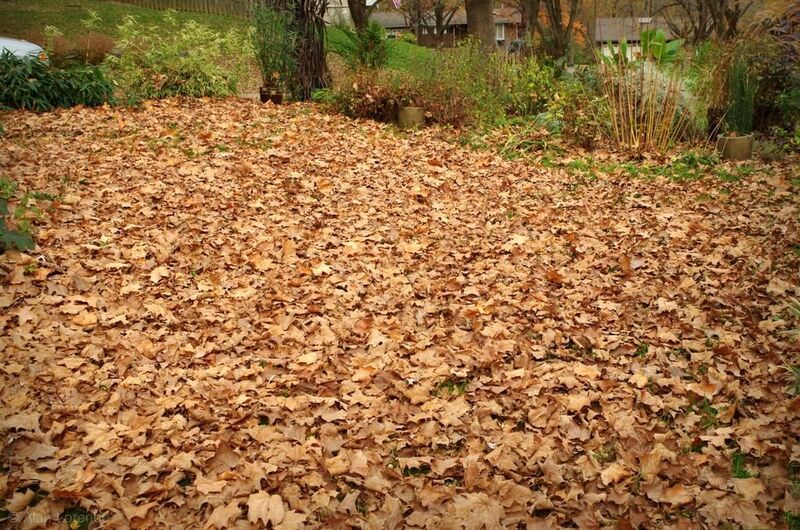 It involves the maple leaves that currently blanket half of my front yard. The problem is that I don't know what to do with them. Rake them up sure, but then what? 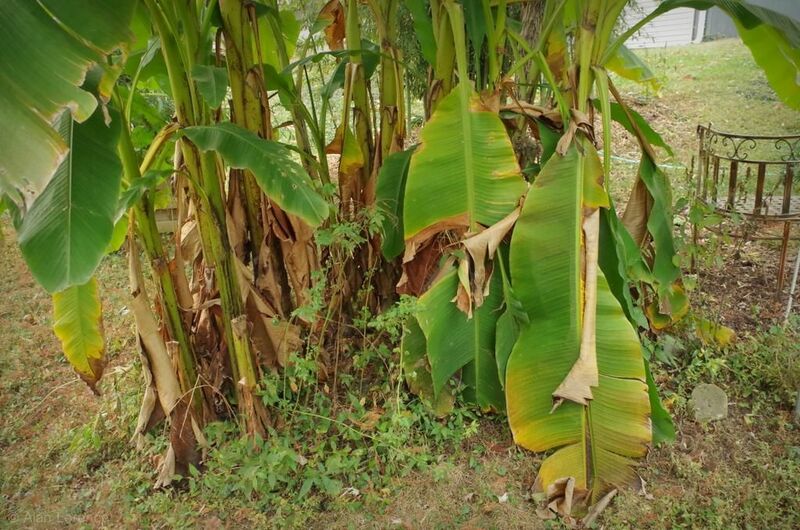 So this year the banana plant is not ready to be mulched, but the leaves are ready to become mulch. Hmmm. The other problem is that the clump is the biggest it's ever been, so I'm not sure that I'll be able to mulch over the entire thing. 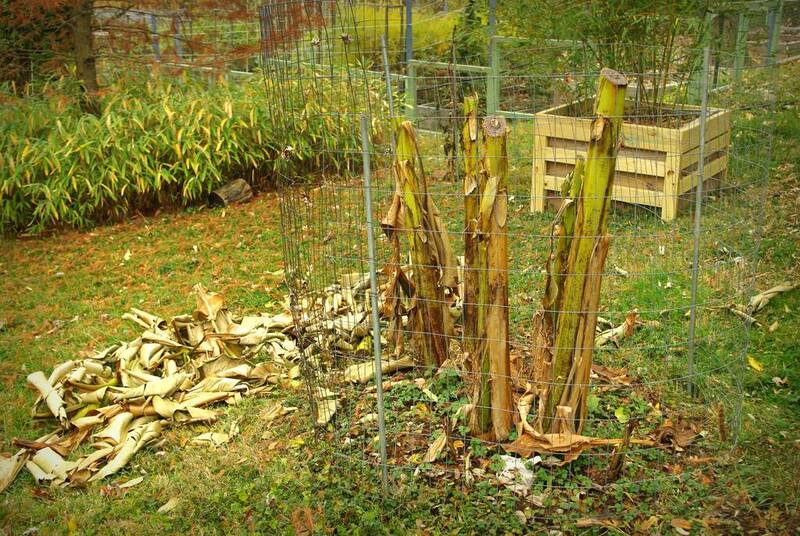 ...and maybe the right way forward is to just rake them up and pile them around the base of the bananas, only cutting the tops down after we get a hard freeze. 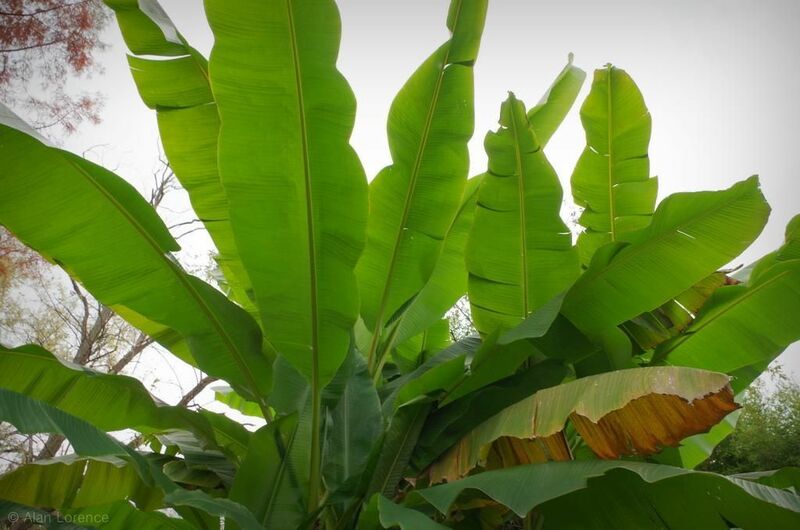 It's starting to look like the banana leaves might stay around until Thanksgiving -- amazing! 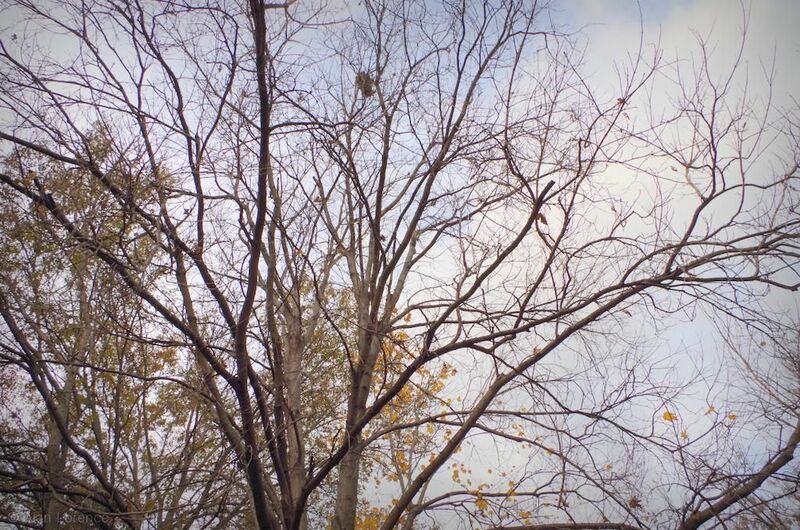 Consider putting the leaves in a big plastic bag with a turkey tail until the plants are ready for their winter mulching, if you have a place for a big turkey in your yard. 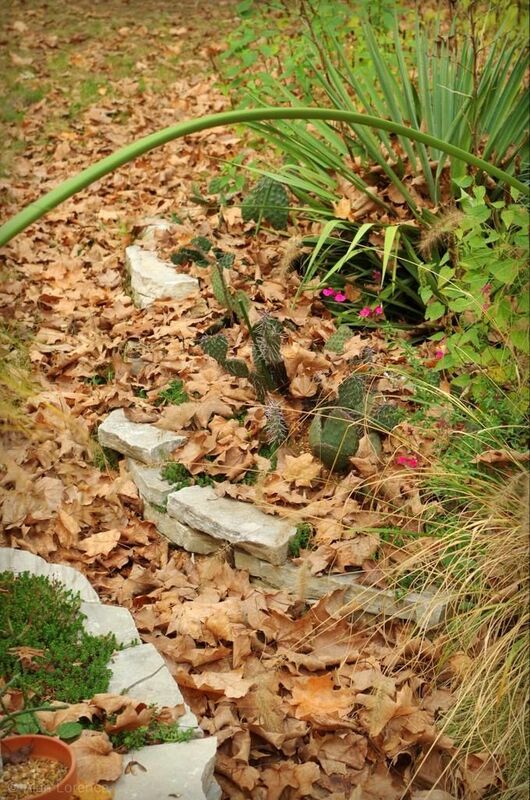 Leave the leaves for now but do remove them from the cactus bed as much as possible to prevent rot. 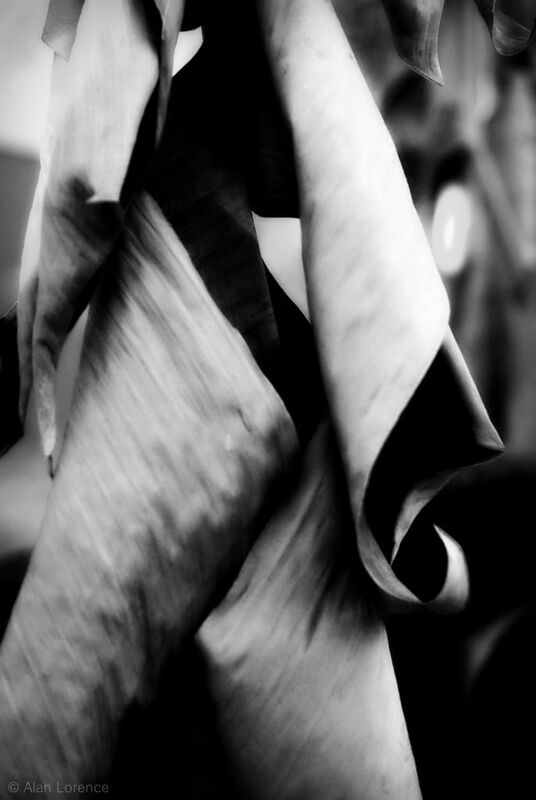 Your bananas are stunning, btw. I too was thinking big bags for the extra leaves. 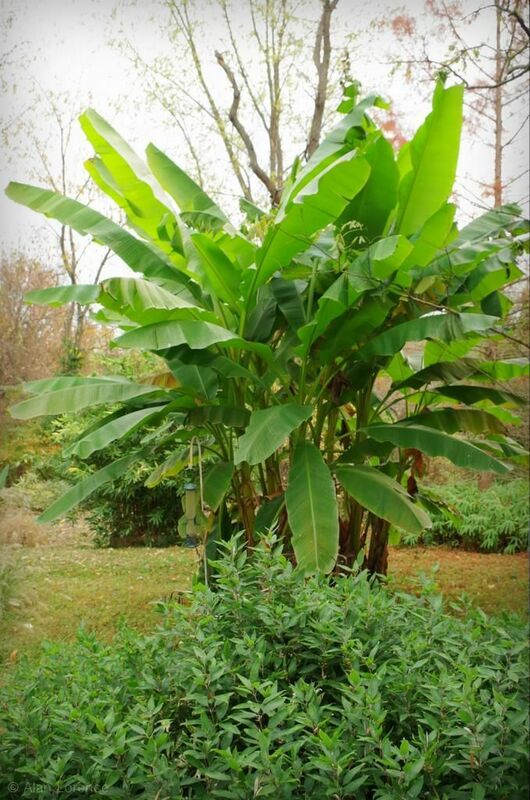 Your idea about mounding them as best you can over the still leafy banana trunks is a good one. If you have evergreen boughs hanging around (maybe after Christmas?) 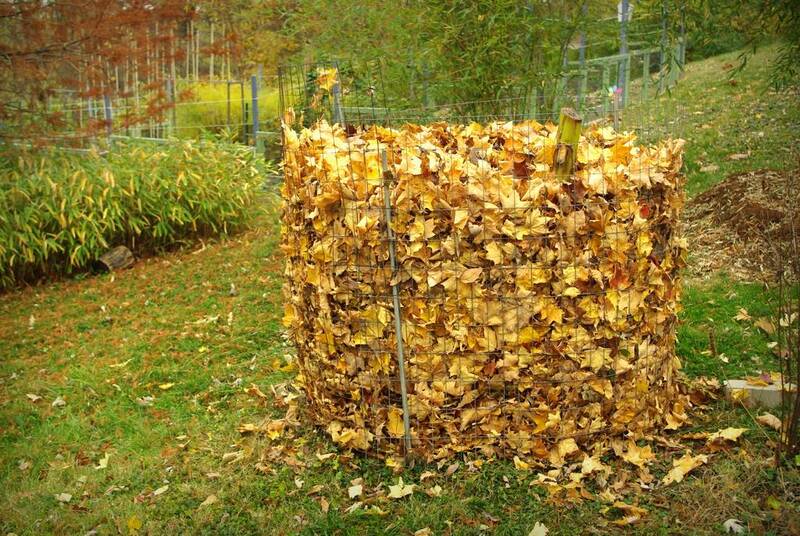 they could hold the leaves down in the space that you won't be able to fence. I found the comments really interesting, I'm anxious to see how this turns out for you. Peter: I've *never* had evergreen boughs available, and by Christmas we'd have had many hard freezes (unless this is a crazily mild year) so the leaves will be needed long before then. I like your thinking though!